Barb Taub has another book out! Though I must say this collection of essays is really more of a…. 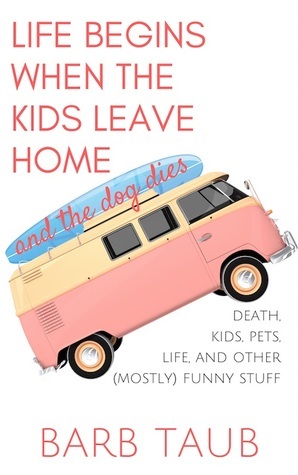 pick it up and hide in the closet with some chocolate and read it when the dog just threw up on the carpet again and the car died and your kids have gone on a hunger strike so you know that you aren’t alone in the wild world of parenting and family drama…. rather than a sit down and read it cover to cover with a nice hot cup of tea kinda book. ‘Cause when you laugh that tea is gonna come right out your nose, and it’s gonna hurt. Would I recommend it? Of course! Would I recommend it? I think that you have to really like whiskey and history to really get into this one. This book takes you from ancient civilizations when women were the first brewers, through the witch hunts when women distillers were tried as witches, in and out of two World Wars, prohibition and bootlegging, right through advertising campaigns and up to modern day practices. 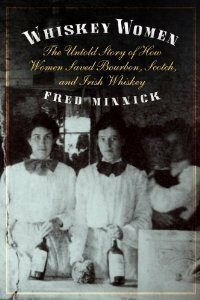 Women have played a far more prominent role in whiskey’s history than one would guess and as the book follows the history of women and whiskey, it also shows women’s role in society through the ages. It was not captivatingly told, but it was interesting anyway. Probably the best thing you could do is get a friend to read this book and then have them tell you all the highlights. Unless you really like whiskey and history, then you should read this book too, our friends may need us to tell them the highlights! I live with three cats. Or perhaps it’s that I provide housing and food for three cats and also manage to have a life on the side – it’s hard to say with cats. Since the newest one just climbed, claws out, up my back over my shoulder only to come to rest on my lap and arm and is now impeding my typing, it seems safe to point out that while I love my cats, I’m not always sure why I love my cats. 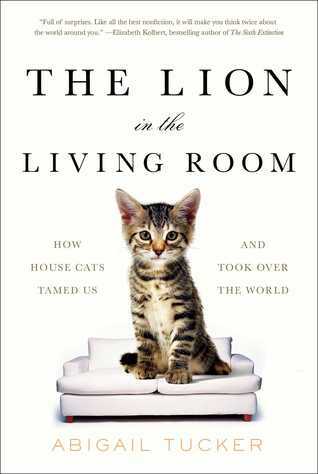 The woman who wrote this book also loves cats but wasn’t really sure why, as whole, we love cats either. She researched the conundrum from ancient Egypt to the Internet with forays into parasitology and ecology and still isn’t quite sure. Would I recommend it? Yes! Because even if you don’t like cats (possibly particularly if you don’t like cats) you want to know how they were used in medieval torture, the ecological devastation they have wrought around the world and how they affect our health. Fair warning, it’s happened again. I read a book that I found so interesting I can’t help but randomly throw it into conversations. Luckily for me, with the Olympics coming up, I have plenty of opportunity to chime in with random tidbits of information. It just sounds fascinating doesn’t it? 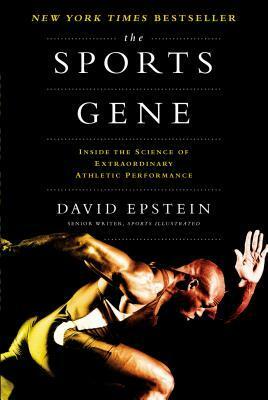 Even if you aren’t like me, someone whose life long athleticism and latent biology background get all tingly at the title of this book, I still urge you to try it. Then, when the Olympics are on, you can say things like, “Ahh, I knew he was a swimmer, that long torso just gave it away.”and “Did you know it’s not about height of basketball players as much as how far they can reach?” Then once you’ve hooked people you can expound on double muscle genes in Belgian Blue Cattle and why the runners from Kenya are again sweeping the podium. If Barb Taub and I lived somewhat close to each other (say if, for instance, there was something less than an ocean between us), I like to imagine that when Barb returned from her trip to India I would have lured her to my house with promises of cake and whiskey. We’d sit down someplace comfy, whiskey in hand and she would regale us with her travels through India. In real life I’d likely spend the night in tears. The kind of laughter that lasts for so long that it gets hard to breathe and is possibly a bit painful. Of course, that’d be in real life. Would I recommend it? It’s a hilariously well written quick read of a travel memoir. It’s not quite like sharing a bit of cake with Barb but it’s as close as most of us are going to get! “I’m not, by nature, a betting man. However, the pages that follow in this book do not bear testimony to that. In fact they exist wholly as the result of a bet. I’m not, by nature, a drinking man. However, the making of the bet which led to this book does not bear testimony to that. Because I made it when I was pissed. The prologue above made me snort. The next pages made me smile and soon I was laughing so hard I couldn’t see to read what came next. The rest of my book club thought it was fun and amusing, but gave me a bit of an odd look when I told them how hard I laughed. Would I recommend it? I would. When responses range from fun to hilarious what do you have to lose? 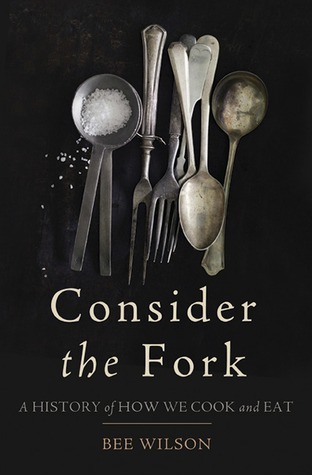 Do you know how the shape of spoons relates to political history? ! Have you heard the theory of knife use and how it relates to overbites?! Did you know that there were 692 patents granted for egg beaters in a 64 year span?! Have you heard all the different ways people came up with to turn spits?! Ice boxes!!? Pots!!? Measuring cups!!? Forks!!? I would be happy to tell you because I found it all completely fascinating. 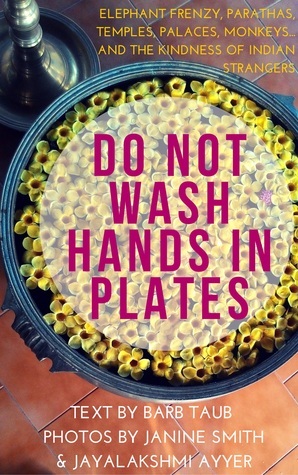 Just invite me into your kitchen and soon you’ll have me jumping up and down in front of you as I spout off with nerdy factoids that I remember the gist of but not enough of the details so that you will think it’s interesting as well. It will be like the kitchen nerds version of forgetting the punch line of the joke. Come to think of it perhaps that’s why I don’t tell jokes. Would I recommend it? Clearly!